The Fly Fishing Shop: Sometimes the right dropper can be the difference!! Sometimes the right dropper can be the difference!! Interesting colors can provide success. 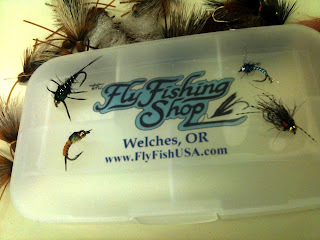 We the Big bugs are out on the Deschutes and so are the people... The best way to handle the pressure is with the best strategy. The Fisherman with the best plan and the most ammo typically do the best. A good variety of large stone fly dries and a great selection of droppers is a wonderful way to fish amongst your fellow man. The other point that seems to make a huge difference this time of year is the size tippet you are willing to use. The finer you go the more fish will be eating your fly! Hands Down!! 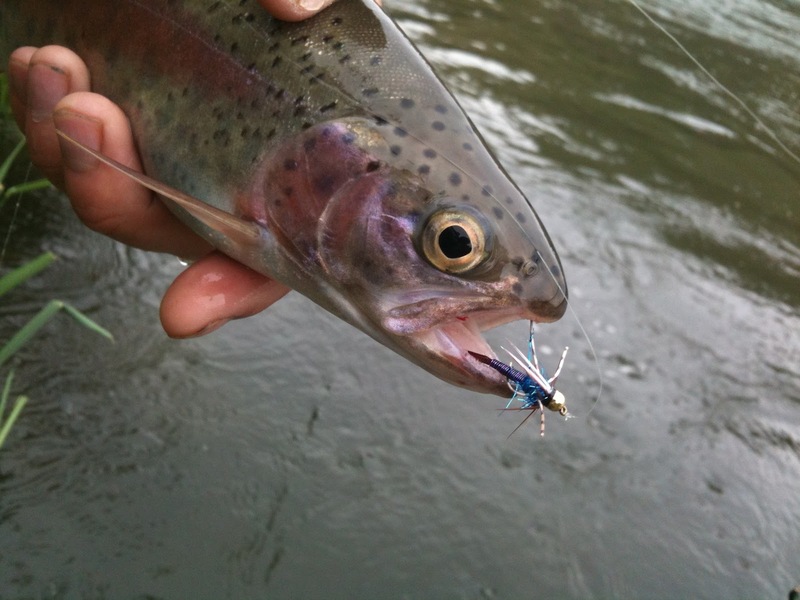 Here is my disclaimer, if you start dropping tippet size you wont land as many fish, you will hook a lot more. That's the give and take of the fishing right now.